​Photo above: Eating and laughing along with the great traditional Philippine entertainment. 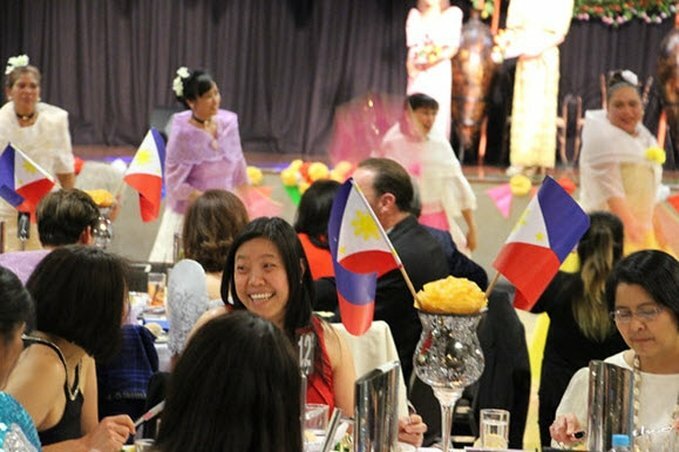 Congratulations to the FCCACT and all those who attended the fabulous Philippine Independence Day Ball held at the Southern Cross Club. It was a wonderful night of great entertainment, food and jovial spirits. 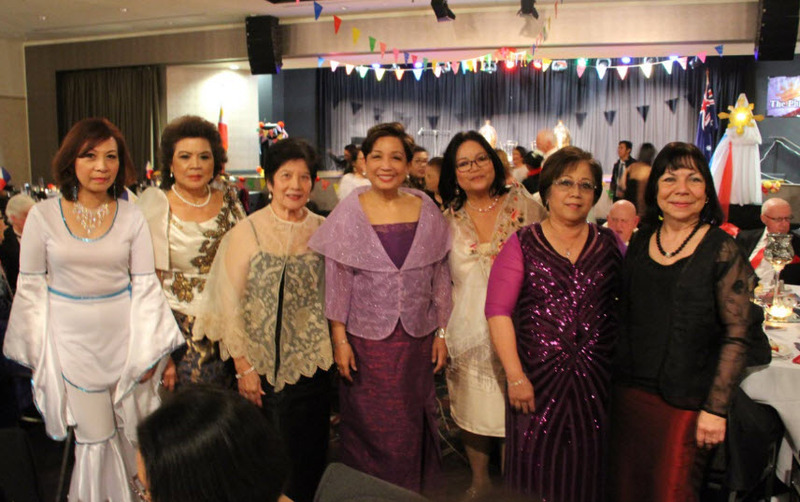 The Philippine Ambassador to Australia and her husband, the former Philippine Ambassador to Korea, other embassy staff, senior government and business executives, and a Sydney-based senior executive officer of the Filipino Communities Council of Australia (FILCCA) and his lovely wife were some of the VIPs who attended, along with the usual great support from the Filipino community in Canberra, and surrounding Capital country region of New South Wales (NSW). Photo above: Some of the members at the VIP table. This includes Former Philippine Ambassador to Korea, Luis T. Cruz sitting next to his wife Philippine Ambassador to Australia, Her Excellency Minda Calaguian-Cruz. 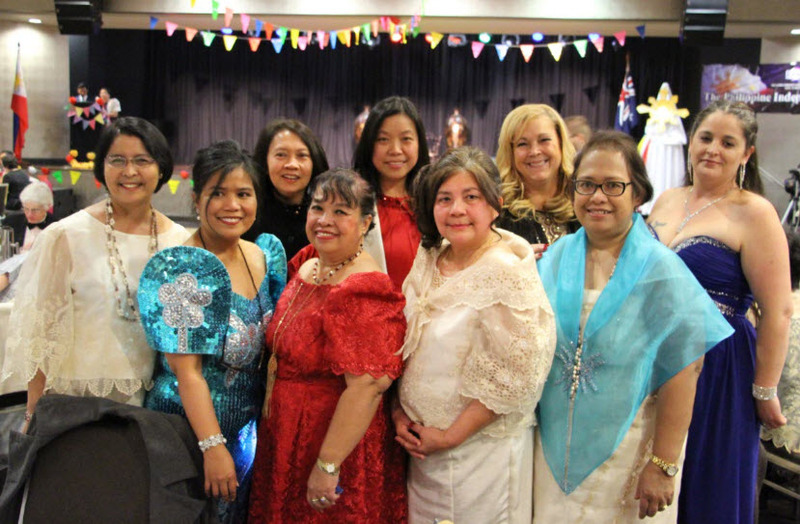 Photo above: Ambassador Calaguian-Cruz, centre, with ladies attending the FCCACT Independence Ball event. Photo above: Ambassador Minda Calaguian-Cruz with members of the FCCACT committee. Photo above: Another group of happy ladies enjoying the Independence Day Ball. Photo above: Elvis Presley returned once again as a 'Solid Gold" performer who pumped up the crowd's dancing spirits. Photo acknowledgements: From RFA and community members.